Additionally, this original graphic novel will also include a code for a bonus digital edition of Thanos: The Infinity Relativity, redeemable for reading via the Marvel Comics app (for iPhone®, iPad®, iPad Touch® & Android devices) and online in the Marvel Digital Comics Shop. This code is included at no extra charge, allowing fans to keep their copy of Thanos: The Infinity Relativity on their bookshelves but still carry this exciting story with them on the go to read anytime, anywhere! 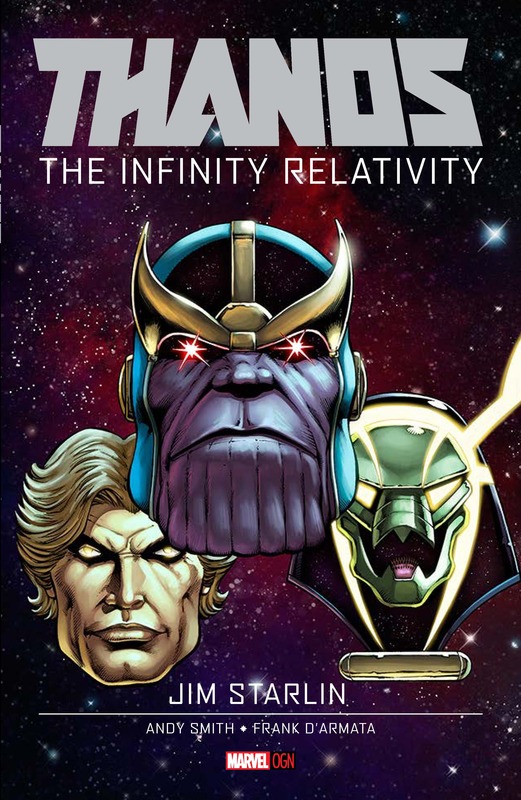 Thanos: The Infinity Relativity alsofeatures special augmented reality content available exclusive through the Marvel AR app – including cover recaps, behind the scenes features and more that add value to your reading experience at no additional cost.